Join 4000+ other DNGs and get our latest news & updates! Want to keep in touch and not miss out on any DNG news? Then sign up for our newsletter and get a weekly dose of DNG magic into your inbox and occasional updates about cool events and offers. 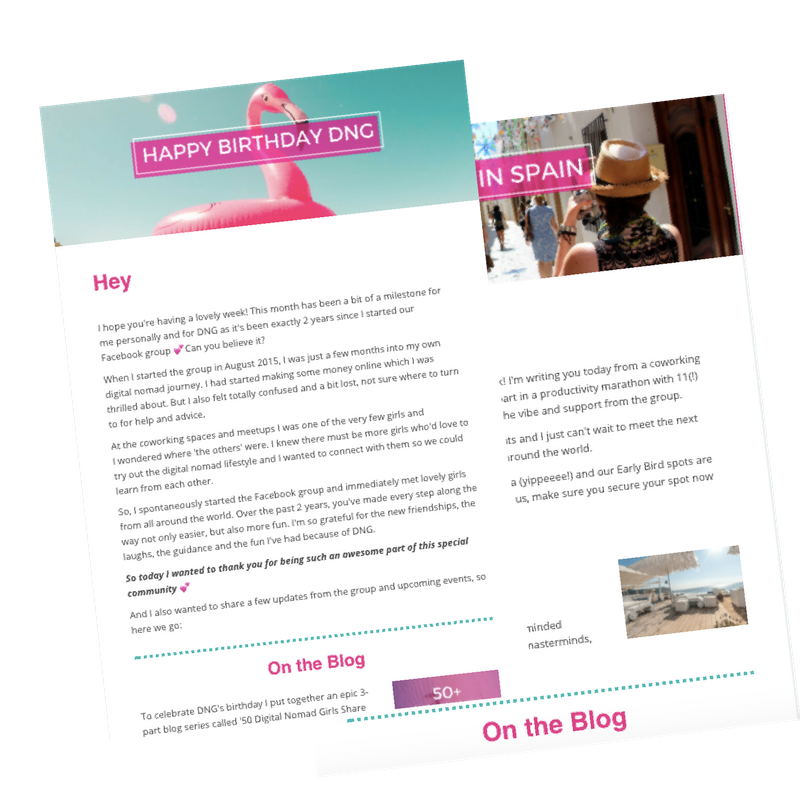 PLUS you'll get our FREE Digital Nomad Toolbox as a gift!! Head on over to your Inbox and click the confirmation link to get added and receive your free Toolbox!